The service for renting and leasing hashrate NiceHash has just announced that it has turned 1 year old and has launched a new functionality for people interested in solo mining for a specific crypto currency and testing their luck in a so called blockchain lottery. 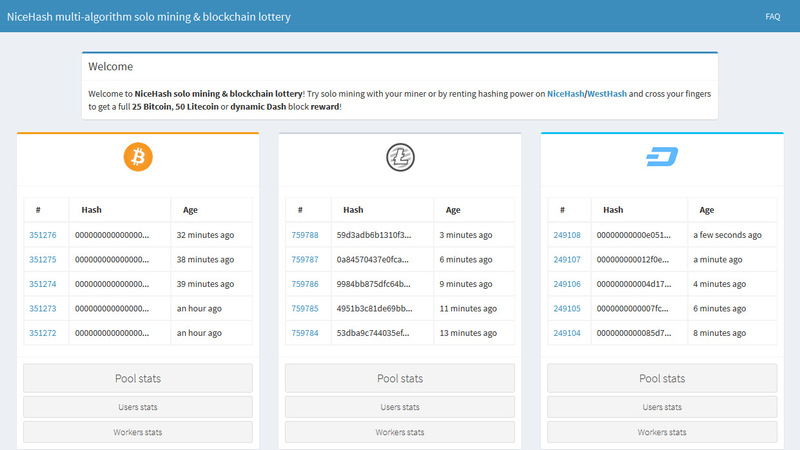 This is a great option for people that do not have a lot of hashrate to test their luck for solving a block of either Bitcoin, Litecoin or Dash (the former Darkcoin) and thus playing a sort of Blockchain Lottery. If you are lucky enough you may be able to hit a block for far less time than what your available hashrate should normally do and get much higher profit from the BTC, LTC or Dash block than for the same time spent mining in a pool sharing the profit. Do note that there is always the chance that you may end up needing more time than expected and that is why it is called a lottery, because the results depend on your luck. 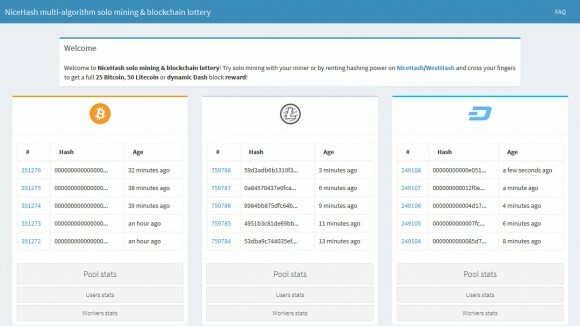 You can start solo mining and trying your luck very easily as there is no need to make registration to start using the new service. You just need to point your mining software to the right stratum server, depending on the coin you want to try – Bitcoin, Litecoin or Dash and use a wallet address for the chosen coin for username along with any password. You can also add workers if you want to monitor separate status for different miners for example, all f the workers will be solo mining with combined hashrate for you. If you find a block, 99.5% of the block reward + transaction fees get generated directly at your address. The only drawback is that if you stop mining before hitting a block then you are not going to get anything and all of your time mining will be for nothing, so if you decide to give it a try make sure you either give up soon after you start or wait for a block before stopping.